Magnificent views come with this family home. A short walk to town with its many wonderful restaurants, live music and clubs, turn the other way up the street and there are bush walks to the top of Bob's Peak and Ben Lomond.... there is so much to do... Queenstown is the ultimate holiday destination, whether bungi jumping, mountain biking and jet boating are you thing or chilling with a book and a wine and that view, there is something for everyone - all year round, young and old. 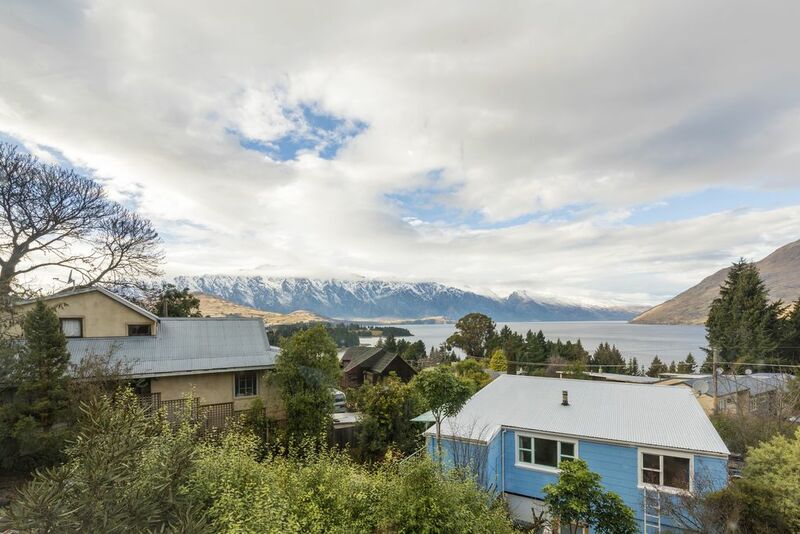 Our house is 30 minutes from Coronet Peak ski resort and 45 from the iconic Remarkables, close to all amenities, supermarkets, restaurants and shops, Twin C is situated in a cut de sac at the bottom of Bob's Peak amongst some of the original baches of Queenstown. Biking and walking tracks to Ben Lomond start at the end of the road. Downtown Queenstown 1.5 k walk down the hill. House is just above the central hotels in a residential street, a 12 minute walk down the hill to the town centre, 10 dollar cab fare if you prefer. Great home, fabulous location and views across the lake. Couldn’t be happier. Beautiful views, clean and tidy. So easy! Had an amazing time. Instructions were so easy. Everything was ready and available. Would recommend to anyone! It was close to everything we needed. We could walk everywhere. The walk back is quite steep but manageable. Will definitely use this property again. The house is in a good location for walking to the city centre, with a fairly steep climb back up the hill to the house, which we had no trouble with. Parking is in a lockable garage. The Freshchoice supermarket is a 5 minute drive away while New World and Safeway are in Frankton, about 10-12 minutes drive away. The house is comfortable and warm in a quiet residential area. The view is great through the large living room windows. Owner and property manager helpful and accommodating. The house is absolutely perfect and in an amazing location. We went here for a mountain biking trip to Ben Lomond and the access to the park could not be better. It is a short, downhill, walk into town and a $7.00 Uber trip back to the house. The views of the Remarkables were just the icing on the cake. I will 100% be back to stay here and would recommend the property to anyone thinking of heading over for an MTB trip. Close to the centre but away from the hustle and bustle. An enjoyable picturesque walk down to town or a short cab ride. The end of the cul de sac has bush walks and mountain biking. It is also the start of the track up Ben Lomond for hiking.